If you’ve ever intentionally neglected maintenance on something just to see what happens over time (like a science experiment, so to speak), then we sure hope for your sake that you didn’t do this with your precious Porsche. While it’s neat to conduct these ‘science experiments,’ this would be one massively expensive and cringe-worthy failure that results in a wounded German sports car. At HOUSE Automotive, our independent Porsche service specialists here in Pasadena just can’t allow for that to happen to our valued customers. We take pride in providing quality maintenance at our Porsche Service Center near Beverly Hills, offering a fair Porsche service cost to ensure that your car is good to run smoothly for thousands and thousands of miles. 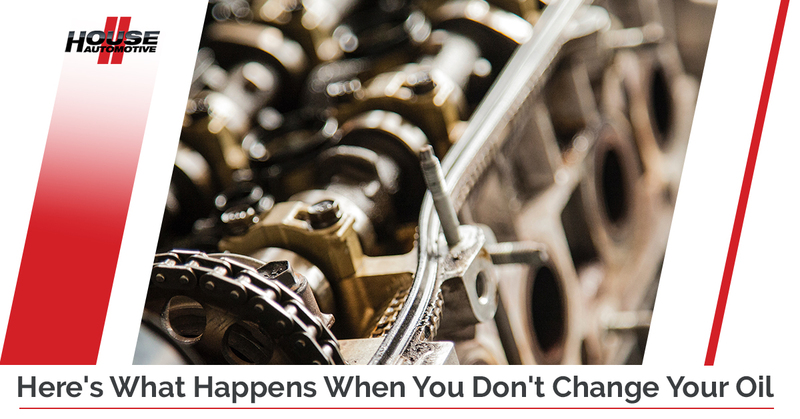 So, in light of doing Porsche oil changes regularly and not totally damaging your beautiful high-performance sports car, we’re going to share what happens when you don’t change your oil by writing about it. That way, your Porsche is safe, your curiosity is satisfied, we’re not cringing, and you’re not desperately searching “Porsche service near me” on your smartphone as you cry looking at your ruined vehicle. Anyway, let’s take a look at what happens when irresponsible car owners neglect to do one of the most important services possible for their vehicle. Feel free to explore our services at HOUSE Automotive as well! Just like the blood in your body, water in the ocean and oil in an engine, these are all essential components to survival and optimal performance. Without them, someone or something is going to die a slow, unfortunate death. Oil is an essential lubricant for your engine, allowing metal to press up against more metal without any damage. People most commonly know oil as lubricating the pistons of the engine as they move up and down in the cylinders. Well, without oil, the metal-on-metal friction creates so much heat that various metal components in the engine will eventually weld themselves together and progressively seize the engine altogether. Yikes! If you’re trying to get somewhere or you just care even the slightest bit about your car (and if you’re a true Porsche enthusiast, we know that you want the very best for your ride), this is something that you cannot allow to happen. Sudden plot twist: If you want someone else not to get somewhere, then draining the oil out of their engine is quite an effective roadblock. Fortunately, getting routine oil changes will prevent this – high-performance cars can have their oil changed as often as one to two thousand miles, whereas certain newer cars can go near ten thousand miles without a change. In general, the rule of thumb with oil changes is that the more often the oil is changed (costly, but frequently worth it), the better it is for your car. And besides, why not play it on the safe side when it comes to your valuable Porsche? Dirt and small debris will progressively accumulate in the oil. As a consequence, the filter will remove the dirt for a while, but will eventually become clogged. The dirty oil will then begin bypassing the filter through a relief valve. Dirty oil is rather thick and abrasive, so this will cause advanced wear and tear on your engine. Various additives in the oil such as detergents, dispersants, rust-fighters and friction reducers will wear out, making it so that the oil won’t lubricate as well as it should. So, as the oil gets dirtier and dirtier, it will stop lubricating your engine altogether, eventually resulting in a failed or a seized engine. No worries, though, because it would take many thousands of miles over your recommended change interval for this to occur. Get Your Regular Porsche Service At HOUSE Automotive! As Porsche enthusiasts ourselves, our Pasadena Porsche repair shop would never allow this to happen to any right-minded Porsche owner. For Porsche oil change services, Porsche Panamera repair, Cayman repair and other independent Porsche repair services in the greater Los Angeles area, we’re the experienced professionals who can help you. Questions? Get in touch with us today. Get Your Oil Changed With HOUSE Automotive Today!